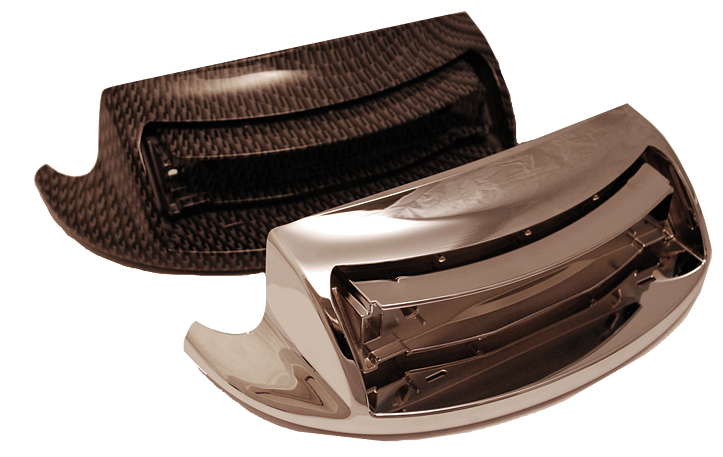 Introducing a new line of knobs, handles, electronic enclosures, and custom molded parts with decorative hydrographic printing, which is ideal for the automotive, electrical, aviation, general industrial, medical, and food service markets. How durable is the protective clear coat? Download a test report on an automotive part and datasheet. 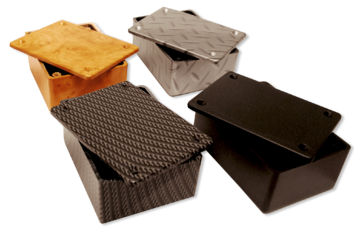 Davies Molding has the engineering expertise to guide you through the process. Call us at 800-554-9208 for a free sample or quote!